Discussion in 'iPhone and iPad Games' started by MAS3D, Oct 18, 2018. Let’s start futuristic way of pizza delivery as a horse pizza delivery boy! this time on your favorite mounted horse. In Horse Pizza Delivery: Offroad Horse Cart Transport you will play a roll of pizza boy but not on bike nor on ATV quad or moto but on mounted horse. You also have horse cart pizza delivery or horse carriage pizza delivery with offroad mode for multiple transport tasks. You have to be quick and avoid city traffic like fast going bus, car and truck in shortest amount of time. This city pizza delivery is different and fun pizzeria boy game. Use your transporter horse for pizza delivery in Horse Pizza Delivery: Offroad Horse Cart Transport. You need to be horse cart driver in hilly offroads to deliver fresh hot pizza through horse carriage with offroad pizza delivery challenge. Choose your favorite mounted horse. So get ready for this pizza order game and chase your destination quickly with pizza delivery on horse. This futuristic pizzeria game is new concept of food delivery. With Horse Pizza Delivery Offroad Horse Cart Transport get ready to enjoy delivering pizza and order to our pizza shop the pizza boy is collect tasty hot pizza from the pizza shop and will deliver different areas in the city within the given time to the clients on his horse carriage or horse cart. If customer needs quick delivery then the pizza delivery boy will deliver on mounted horse as horse pizza delivery boy. - Dual mode gameplay with horse pizza delivery & Horse cart pizza delivery. - Deliver pizza in limited amount of time with pizza delivery games 2018. 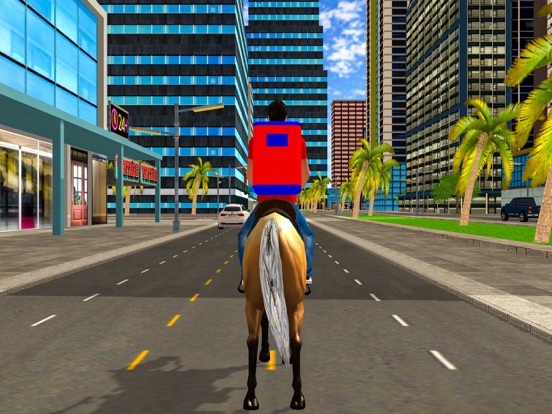 - Ride horse rush against crazy traffic, avoid hurdles with multiple transporter challenges. 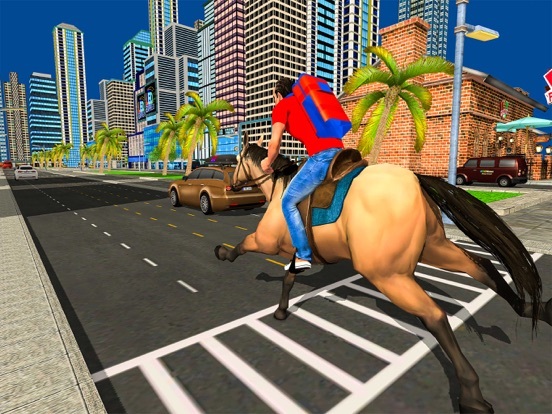 - Pizza delivery horse rider character with City pizza delivery games. 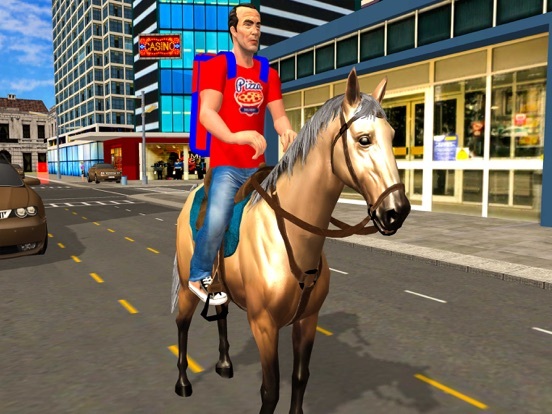 - Amazing horse riding & 3D fantasy city environment with horse chase. Let’s start futuristic way of pizza delivery as a horse pizza delivery boy! this time on your favorite mounted horse. In Horse Pizza Delivery: Offroad Horse Cart Transport you will play a roll of pizza boy but not on bike nor on ATV quad or moto but on mounted horse. You also have horse cart pizza delivery or horse carriage pizza delivery with offroad mode for multiple transport tasks. You have to be quick and avoid city traffic like fast going bus, car and truck in shortest amount of time. This city pizza delivery is different and fun pizzeria boy game. Use your transporter horse for pizza delivery in Horse Pizza Delivery: Offroad Horse Cart Transport. You need to be horse cart driver in hilly offroads to deliver fresh hot pizza through horse carriage with offroad pizza delivery challenge. Choose your favorite mounted horse. So get ready for this pizza order game and chase your destination quickly with pizza delivery on horse. This futuristic pizzeria game is new concept of food delivery. With Horse Pizza Delivery Offroad Horse Cart Transport get ready to enjoy delivering pizza and order to our pizza shop the pizza boy is collect tasty hot pizza from the pizza shop and will deliver different areas in the city within the given time to the clients on his horse carriage or horse cart. If customer needs quick delivery then the pizza delivery boy will deliver on mounted horse as horse pizza delivery boy. 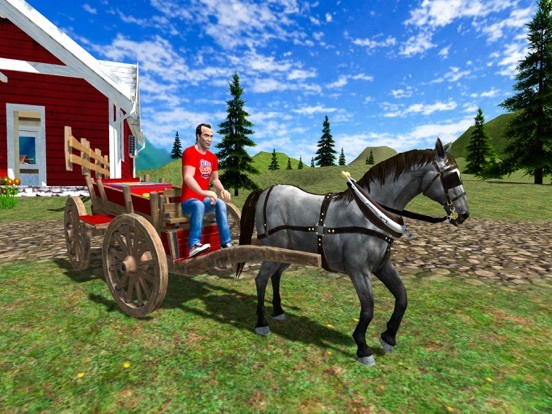 Features of HORSE PIZZA DELIVERY: OFFROAD HORSE CART TRANSPORT - Dual mode gameplay with horse pizza delivery & Horse cart pizza delivery. - Deliver pizza in limited amount of time with pizza delivery games 2017. 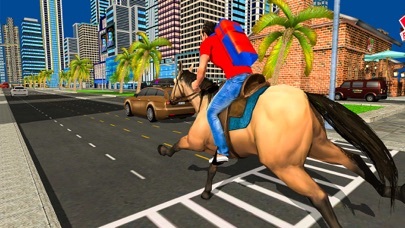 - Ride horse rush against crazy traffic, avoid hurdles with multiple transporter challenges. 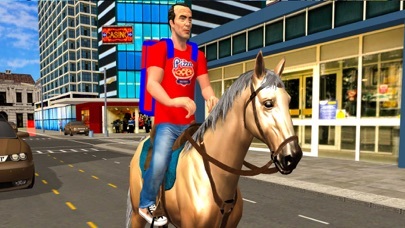 - Pizza delivery horse rider character with City pizza delivery games. 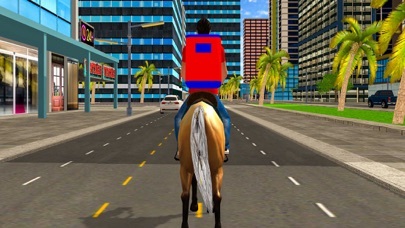 - Amazing horse riding & 3D fantasy city environment with horse chase.